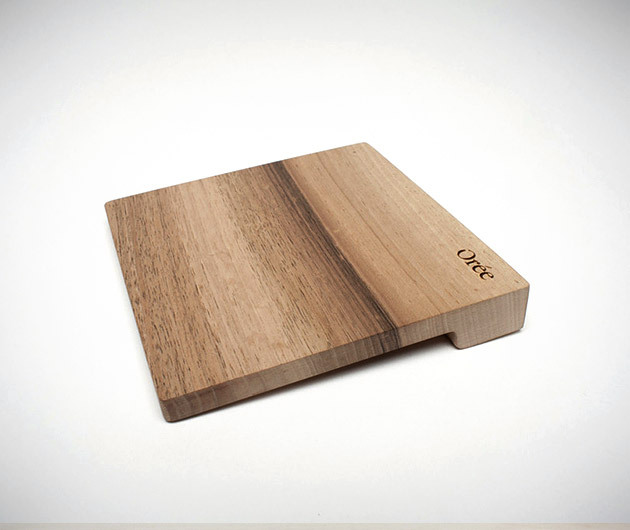 Beautifully crafted from a single piece of wood as the natural extension of the Orée Board, the Orée Touch Slab Wooden Trackpad supports a set of multi-touch gestures to enable interaction with your computer screen. Doubles as both a mouse and number pad and works with any Bluetooth-enabled Mac (OS X or later) or Windows 7 or 8 PC. Choose from maple or walnut wood.